I've said this before, but I'm saying it again. You've got to put your hands on some of this. I recently made the argument for corporate wines, or wines made in enormous quantities by large mega-wine companies. While my most recent recommendations advocate looking into these companies' reserve and vineyard-specific programs, there are some made-for-the-masses wines that are equally deserving of your attention. This is one. With a quarter of a million cases produced in the 2007 vintage, it's no surprise that you can find this wine everywhere. A few nights ago I pulled the last remaining bottle of this from the cellar to have with a simple Tuesday night meal. 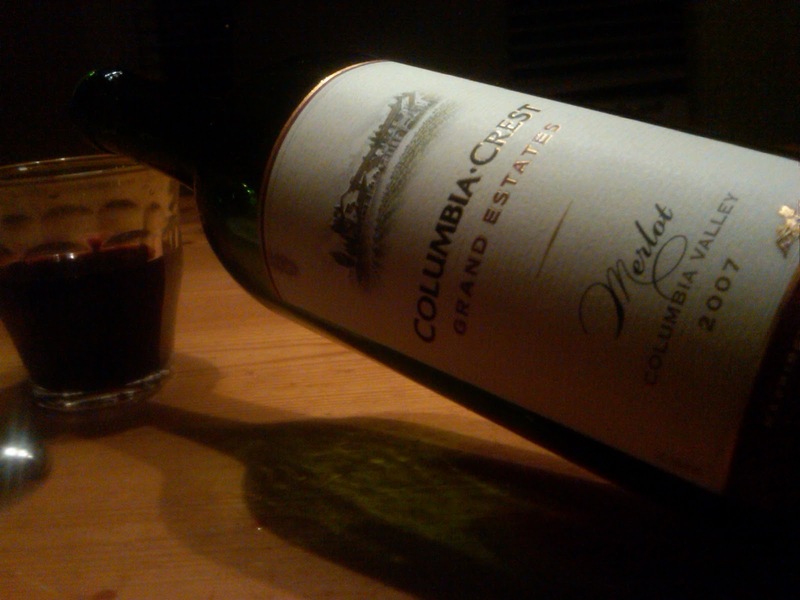 If I liked this Merlot before, I love it now. It over delivers in every sense. Lush, rich fruit, terrific structure, and a finish longer than a Carlos Santana solo. Though hardly on its way down, this wine could be peaking right now - which is why I promptly went out and grabbed another 6 pack of it from the lower shelf at the grocery store. At $10, this is one bargain you really shouldn't deny yourself. Get it before it's gone!